Pier 1 on the Waterfront is Montego Bay's most pulsating open-air Seafood Restaurant, Bar and unique Entertainment Centre that has been in operation since 1986. 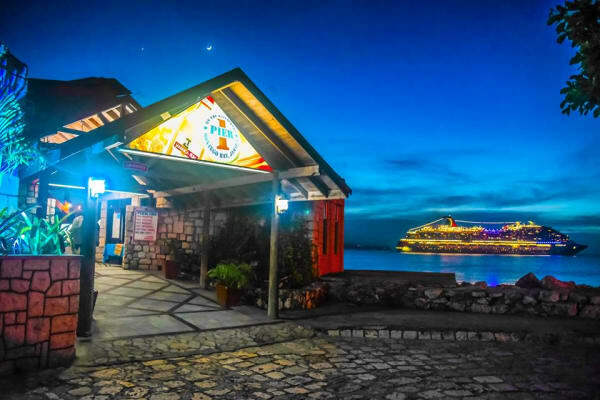 Located on a picturesque peninsula overlooking the Harbor and the City, you get a feel of being on a ship while you dine in a most breathtaking atmosphere with spectacular Sunsets! Pier 1 serves a wide selection of seafood done in a variety of ways that is sure to suit even the most finicky diner.Great Prices, Great Service and a Great View Pier 1 is just not a restaurant.....it is an attraction!